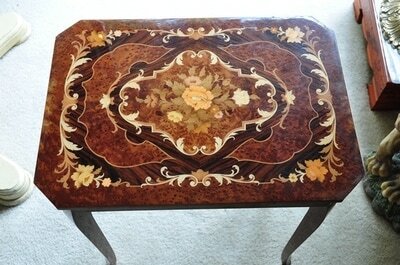 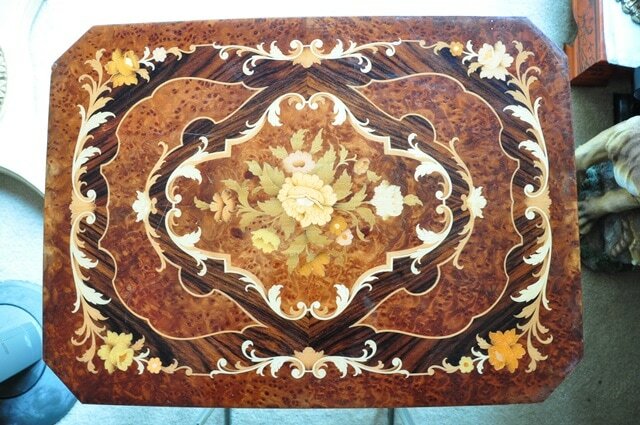 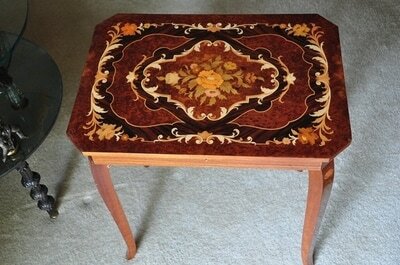 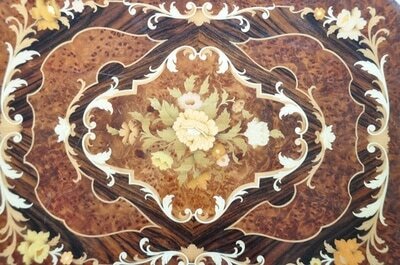 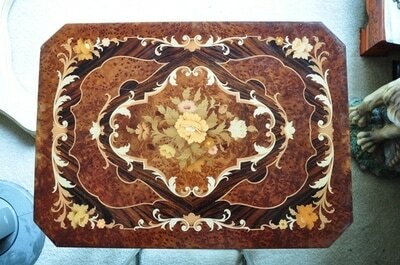 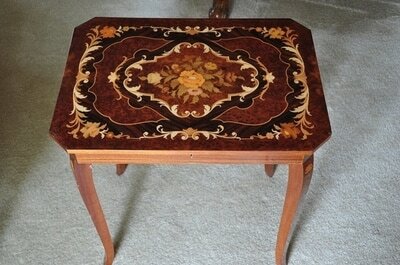 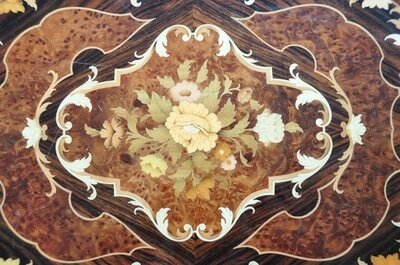 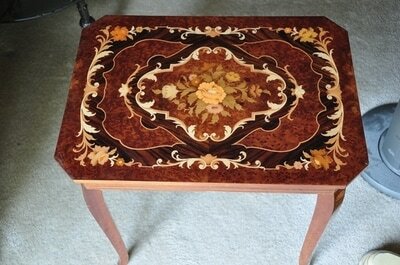 This is a 1950's Italian marquetry table with jewelry chest music box. 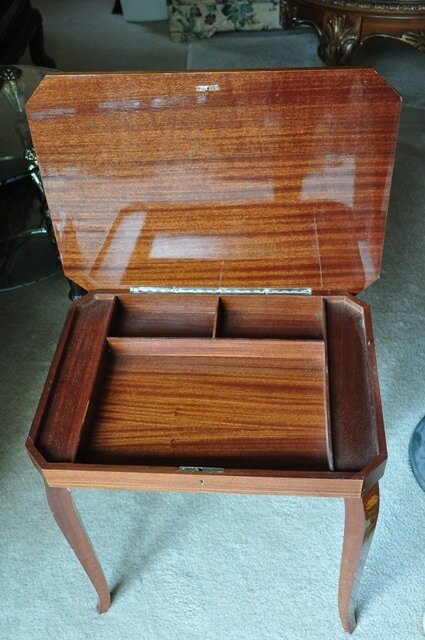 It has a Reuge Swiss music movement inside. When the box is opened music plays. 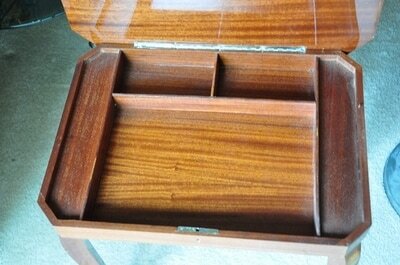 The wooden box is rectangular in shape and is 20-1/4" wide, 14-3/4" deep and 22" tall. 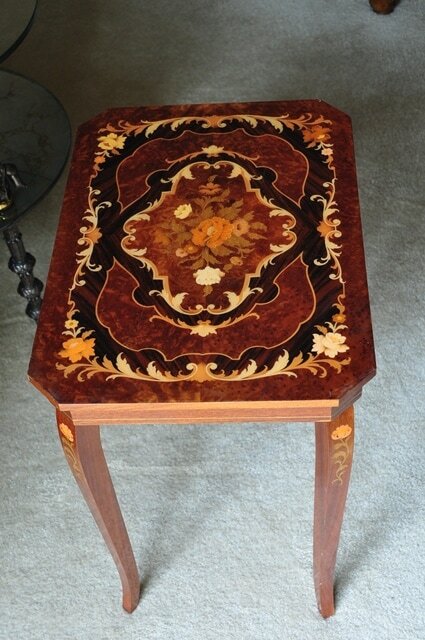 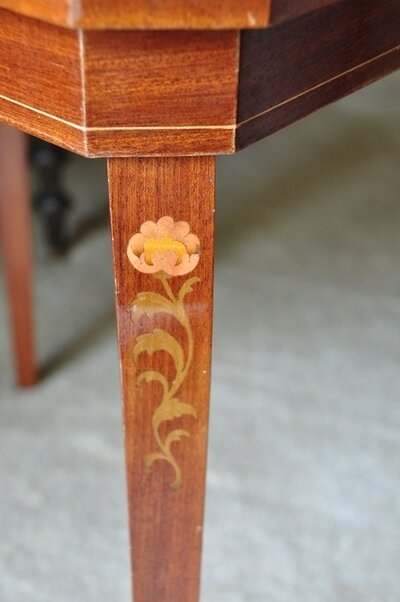 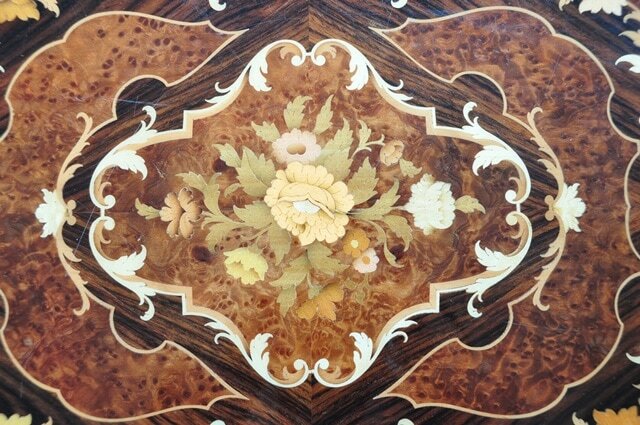 Intricate floral inlay patterns are on the table top.